Neighbourhood Advisory Boards (NABs), like other resident groups, are set up to give people a voice on the issues facing them and their neighbours. Unlike other resident groups they are made up of public housing tenants and also have to deal with their government landlord and changing government policies about public housing. David White explains. The Neighbourhood Advisory Board (NAB) model was developed by the Department of Housing (DoH) when the first NAB was set up in Redfern/Waterloo in 1995. NABs continue to be resourced by Housing NSW (HNSW) as part of their strategy for tenant participation. The intention is to bring together, usually bi-monthly, elected tenant representatives, who represent local ‘blocks’ or precincts, and local agencies to work collaboratively on improving the quality of life for the people living in HNSW estates. The NAB advises on, and when possible resolves, local issues raised by the community. There are six NABs in the City of Sydney; Glebe, Millers Point, Redfern, Surry Hills, Waterloo and Woolloomooloo. The only NAB outside this area is at Riverwood. All the NABs are located in areas of high density public housing or ‘housing estates.’ Outside the housing estates public tenant groups are structured to deal with their landlord and not the wider community or human services sector. Tenant representatives are elected from pre-defined precincts accross the estate. There may also be tenants elected as culturally specific representatives to ensure that all key tenant voices are heard. HNSW, as the tenancy manager, is also present at NAB meetings, as is NSW Land and Housing Corporation (LAHC) as the owner of the properties. The NAB model recognises that in addressing community concerns, there needs to be a collaborative approach and it therefore relies on tenant participation and key community and government involvement and support. NABs are hence much more than just meetings of tenants and their landlords. Other key government bodies are also usually represented including the Police Local Area Command, Local Council, District Health and other government agencies such as Community Services and Ageing, Disability and Home Care (ADHC). The local MP’s office is also usually represented along with local agencies such as Neighbourhood Centres and Youth Centres and sometimes local schools and shopkeepers. The NABs are guided in their work by terms of reference and supported by a Housing NSW funded Tenant Participation Resource Support (TPRS) worker and in some cases a local Housing Communities Program (HCP) worker. All NABs have an independent chairperson – for example Rev. John McIntyre (see page x) was the chairperson of the Redfern NAB up until he left Redfern in 2006. NABs also have a secretariat paid for by a HNSW grant. Precinct representatives, as the people familiar with local issues, are provided the opportunity to link with government departments and community organisations. They do so for the purpose of developing and targeting services and programs that impact positively on the estates. 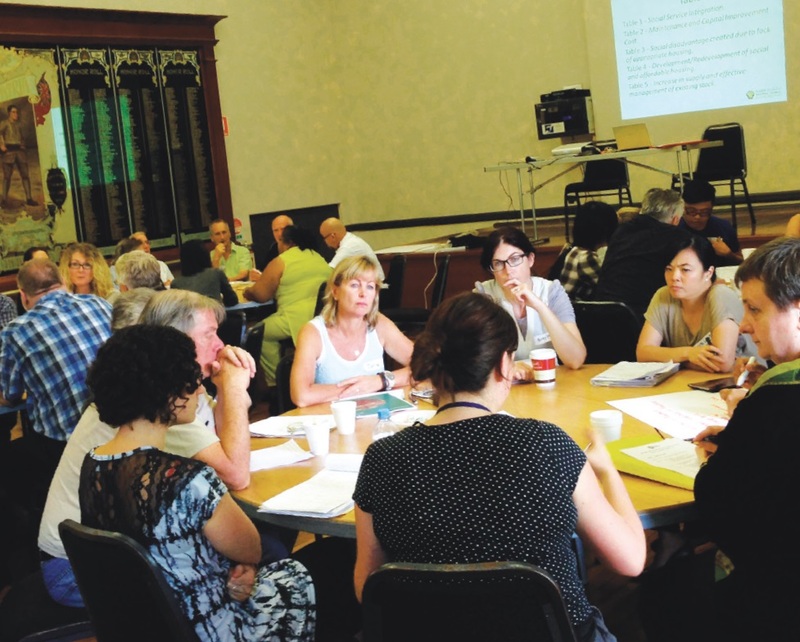 The NABs provide a forum that can facilitate an interdepartmental approach to tenancy matters and provides a space for the planning and co-ordination of government and community services on the housing estate. The NABs can also make recommendations to HNSW on broader policies, procedures, programs and issues. 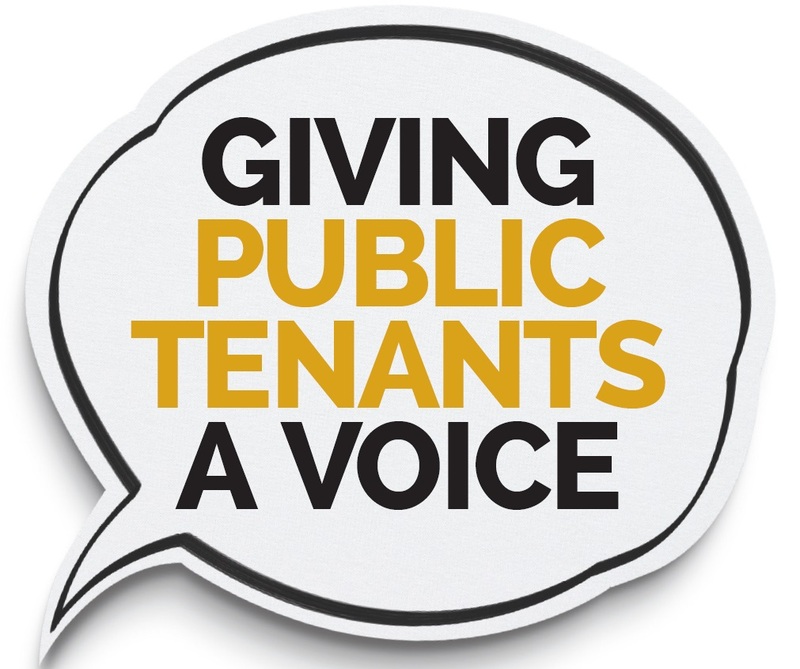 Tenant representatives need to be aware of the concerns of the tenants within their precinct and may hold formal precinct meetings to discuss issues and report on NAB activities. 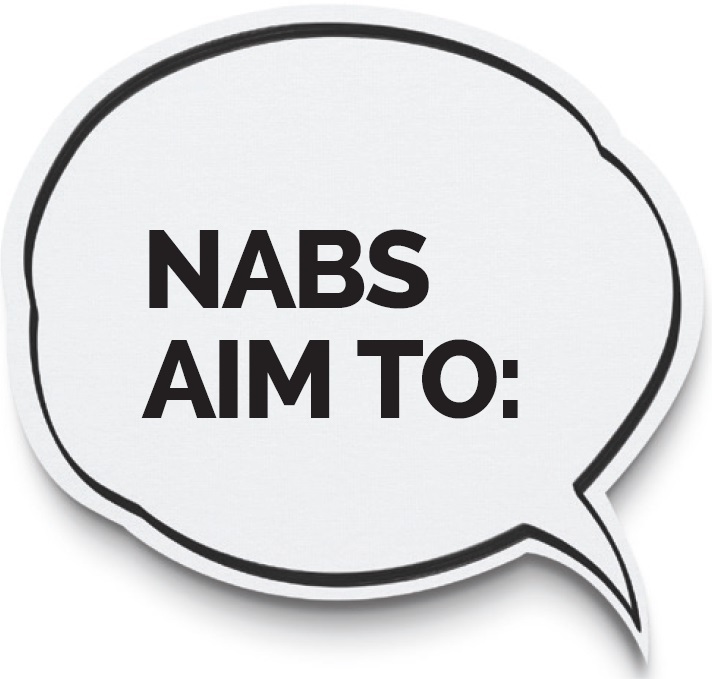 Some of the outcomes of the NABs include improved coordination of government and community services, including mental health, safety and other initiatives and the targeting of resources. A lot of NAB time is spent on maintenance issues, waste management and physical improvements to Public Housing Properties. The undertaking of Community Safety Audits of the estates is an important NAB initiative that has produced many beneficial outcomes for tenants including improved lighting and maintenance in public areas, closed circuit TV monitoring, better safety and traffic management. NABs also input into the Community Drug Action Teams (CDATs) about issues of concern, organise community events and help build community pride and ownership within the estate. In spite of their important role as a voice for their communities NABs are often overlooked as an important community voice by those outside public housing. 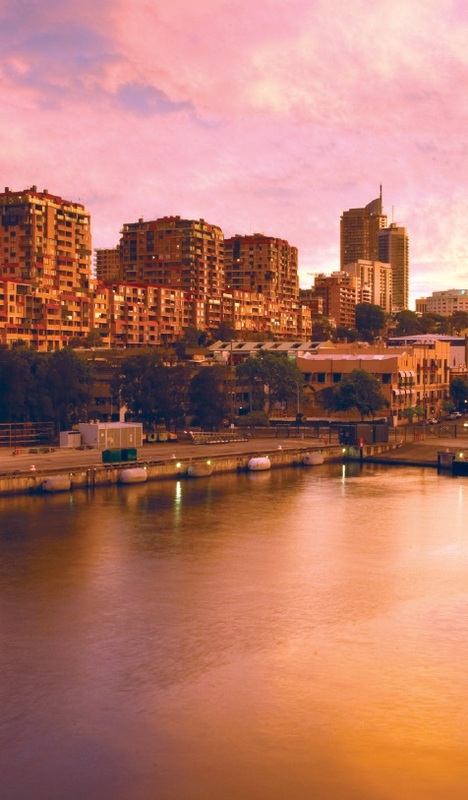 Often however the activities of NABs reach well beyond the borders of their estate and deliver improvements for their surrounding communities such as in the case study on Woolloomooloo NAB and that suburbs drainage. In April 1994 Cara MacDougall became the first community development worker under the HCAP Housing Communities Assistance Program (HCAP) in Redfern/Waterloo operating from ISRCSD. Cara identified that public housing tenants in Redfern and Waterloo were experiencing high levels of crime, drug abuse, social isolation, family breakdown and violence. This experience was associated with living in an area with a high concentration of poverty, unemployment, many people living with mental illness without much needed community support residing in high rise flats. Cara identified that the most pressing issue for the community was safety and security. Tenants were concerned about inadequate street lighting, not having decent locks on their doors, bag snatching, reports of people being beaten or pushed over, and the failure of police to respond to calls and address the problems. As a result, a Safety and Security Committee, made up of tenants, police and the Department of Housing (DoH), was formed to keep the issues on the agenda. This committee was used to inform the establishment of the first Estates Advisory Board (EAB). By April 1995, a number of tenants were elected as community representatives and had had their first EAB meeting. A training program was put in place which covered meeting procedures and an overview of the internal workings of the DoH. The EAB started out meeting bi-monthly, then changed to meeting every six weeks, with the tenant representatives meeting in between EAB meetings to put together an agenda. 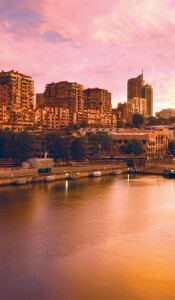 In 1996 the Estate Advisory Board was reformed into two separate NABs – Redfern and Waterloo. The concept of precincts was formed to enable the NABs to become more representative. Waterloo was divided into ten precincts and Redfern into eight with each precinct electing their own representative to the NAB. One of the Wellington St shops was also converted into a drop-in centre for tenants to use as community space. Both NABs continue to function and now separate out Housing Standards and Maintenance from other issues. Redfern NAB deals with both within the same meeting, while Waterloo NAB deals with Housing Standards bi-monthly and in the alternate month Tenant Representatives meet with the lead agencies from a number of NAB action groups. The Waterloo action groups are the Waterloo Wellbeing and Safety Action Group (WWSAG), the Learning, Employment and Enterprise Action Group (LEEAG) and an Events Group which now covers both NABs. Within this structure many projects operate and report back to the NABs. At the Woolloomooloo NAB (WNAB), issues were constantly being raised concerning smells from drains in parts of Woolloomooloo. The chair of the WNAB asked Sydney Water to the WNAB to address these issues. In May 2013 two officers from Sydney Water were guest speakers at a NAB Meeting. They stated that Woolloomooloo has the last combined drainage system in Sydney (over 100 years old), which means both storm water and sewerage from properties goes into the one pipe. In the rest of Sydney storm water runoff is separate from sewerage. As a consequence, in Woolloomooloo on hot days there are odours from the pits, and when storm water overflows it also spreads raw sewerage across surrounding land. In addition it was not always clear to tenants who was responsible for fixing the problems they experienced. Sydney Water is responsible for the main pipe (generally in the centre of the street) but home owners are responsible for the pipes that run from their properties to the main. In streets owned by NSW Land and Housing Corporation (LAHC), such as Griffith Street, LAHC has responsibility for the pipes; although it sometimes seeks assistance from Sydney Water to repair its private sewers. In an emergency, tenants can call Sydney Water direct rather than go through the LAHC Housing Contact Centre. The single drainage system and resultant problems were clearly unacceptable and caused ongoing problems for both public and private residents as well as for Sydney Water staff who were regularly required to patch this unsatisfactory system. The WNAB wrote to the then Minister for Finance and Services, Greg Pearce, asking for information on any plans to replace the water and sewerage infrastructure in the area to align it with the rest of Sydney and to set up a communications system to clarify who fixes what. The response from Community Services Minister concerning the sewer system in Woolloomooloo was at odds with what the Sydney Water representatives had earlier told the WNAB meeting. After discussion, it was decided that the best way forward was to write to the Energy and Water Ombudsman (EWON) as they have the power to investigate, liaise (and get documents) from both agencies and sort out any issues. The information about EWON had come from leaflets distributed by Leanne, from Alex Greenwich’s Office. The WNAB Chair wrote a letter of complaint to EWON, outlining the steps taken so far and the responses from Sydney Water and the Minister’s office. Sydney Water then contacted WNAB as Sydney Water now plan to address the odour and backup problem by installing a dual pipe system to separate the sewer and storm water. It has $1.4 million funding to do a feasibility study on how best to put the separate pipes in, working with local community, stake holders and regulators. Sydney Water will also look for 25 community representatives, who care for their community and are well networked so that they can spread the word, to create a community reference group. Media will also be used to engage the wider community. This is a good example of how public tenants have been able to work with various stakeholders in a NAB structure to achieve a good result not only for public tenants but also for the broader community of which they are a part. David White is the Tenant Participation Resource Support (TPRS) worker at ISRCSD. He is responsible for resourcing NABs and other tenant mechanisms in the Inner City and North Sydney. You can find more information about TPRS and NABs on the Inner Sydney Voice and ISRCSD websites.